Welcome to the 2018 National Dog Show. All dogs competing in this event are registered with Dogs New Zealand, the governing body of dog related sports in New Zealand. Bring the whole family along to our national extravaganza and watch some of New Zealands top dogs strut their stuff. Dogs, dogs and more dogs - Small ones, big ones, fluffy ones, come along and see them all. 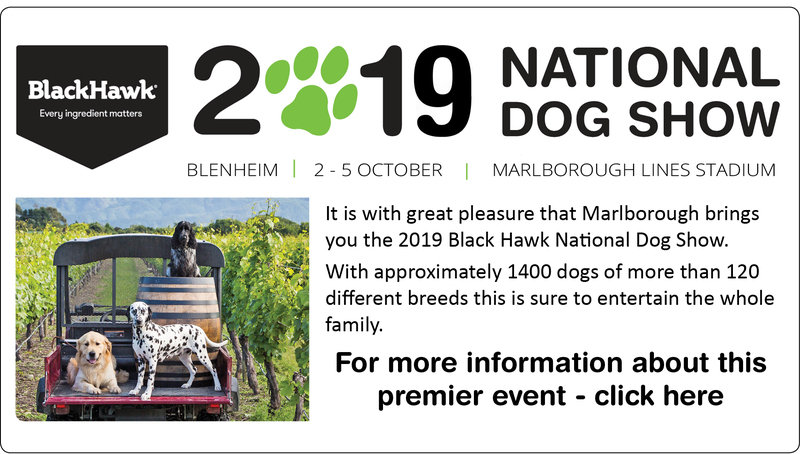 The Black Hawk National Dog Show is New Zealand's premier dog show, with over 130 different breds competing for the coveted title of BEST IN SHOW. There will also be a full obedience show, the very popular Dancing with dogs, junior dog handling and many other four-legged events and demonstrations to entertain the whole family.